Tribal Tattoos are in vogue these days with every second person, whether man or women flaunting a cool tribal tat design. These designs look quite unique and are very visually pleasing. Tribal tattoos are those designs that are usually inked by folks, both men and women, belonging to a particular tribe to portray their association to their respective clans and hence it is mostly common to see tribal folks, whether Maori or Indians sporting these awesome looking tribal tattoos on various body parts. When selecting such tattoo designs, one must do a lot of research well before selecting any particular motif as a tattoo once engraved remains forever. Also, these tattoos involve intricate work which makes it imperative that one books a fine and trained tattoo artist for getting his or her tribal tat. 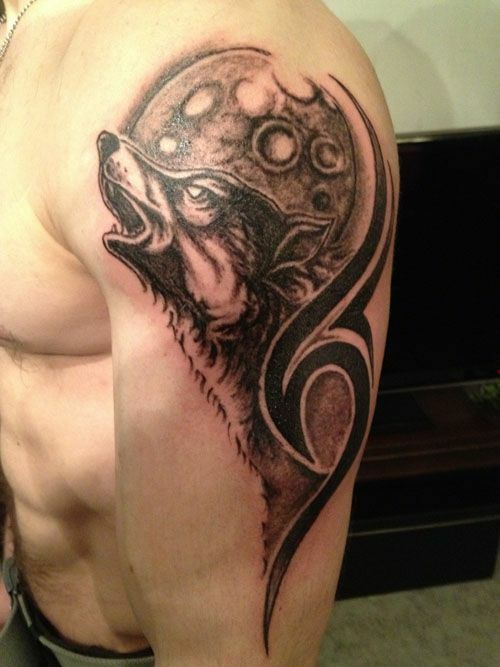 Tribal tattoos come in myriad styles and patterns and are tailor made for both the sexes. These tattoos are of two kinds, namely, Men tribal tattoos and women tribal tattoos. While, for men, there are such tribal designs that cover a wide area of a body part like back, thighs, arms, forearms, legs and sleeves; for women, the tribal designs are relatively smaller in size and occupy the neck and back. For inking tribal tattoos, mostly, all tattoo artists use the color black which is often seen as the primary shade. Black enhances the beauty of the intricate curves and lines and makes the wearer of tribal tattoos look chic. However, sometimes, other colors like red are used to compliment the primary color black.